It’s been 40 years, several awful sequels, multiple reboots, a non sequitur spinoff and countless imitations since John Carpenter’s “Halloween” first stabbed the screen in 1978. To say that the brand has been diluted a little bit would be an exercise in understatement. Everyone knows serial killer Michael Myers, but everyone also knows he just hasn’t been himself in a while. So it makes sense, in this nostalgia-driven era, to go back to the basics. Blumhouse has taken over the “Halloween” franchise, and they’ve enlisted celebrated director David Gordon Green (“Stronger”) to return Myers to his former glory. The new “Halloween,” which is confusingly and frustratingly titled just “Halloween,” ignores all of the failed follow-ups to the original slasher classic. It also ignores all the good ones, because the bathwater was so apparently bad they decided to toss the baby out too. Green’s “Halloween” is a direct follow-up to Carpenter’s original, and tells the story of Laurie Strode (Jamie Lee Curtis), who survived the original massacre and spent decades in a state of post-traumatic stress, mentally preparing herself for the return of Michael Myers and becoming increasingly estranged from her only child, who rejects her paranoia and refuses to live in fear. It’s a storyline that the new “Halloween” can only get away with by completely ignoring the fact that it’s been told before, and very well, in “Halloween H20.” Then again, slasher franchises are built on familiarity, if not outright repetition. Green’s sequel adopts the eerie cinematic style of John Carpenter’s original “Halloween” while evoking what is, perhaps, the only truly great “Halloween” sequel that came before it. And although it falls into several pitfalls of the genre, it’s still an effective chiller. “Halloween” (2018) kicks off at Smith’s Grove, the mental institution where Myers has been institutionalized for four decades, after the unthinkable horrors of his killing spree in 1978. It is here that two podcasters arrive to give endless exposition, clearly state the movie’s themes, and poke the hornet’s nest. They brandish Michael’s original mask like it’s some kind of religious idol and yell “You feel it, don’t you Michael?! YOU FEEL THE MASK!” as if that’s somehow, in any universe, a good idea. Meanwhile, Laurie Strode lives in an elaborate doomsday compound on the outskirts of Haddonfield. She spends her time cleaning her arsenal of guns and taking potshots at her impressive collection of mannequins, which are all white, emotionless statues like Michael Myers. Laurie’s daughter, Karen (Judy Greer), doesn’t talk to her. Karen spent her childhood preparing to kill Michael Myers, much in the same way John Connor spent his childhood preparing for the robot apocalypse in the “Terminator” movie universe. Now, Karen has completely rejected her mother’s warnings, and has raised her own daughter, Allyson (Andi Matichak), with the philosophy that there’s actually some hope for the future, beyond an inevitable confrontation with a knife-wielding maniac. The film’s most genuine, tragic moment comes when all three generations of the Strodes are having dinner together, with Laurie in the midst of a debilitating panic attack. To Karen, it’s just another in a lifetime of avoidable anxieties, the cause of all her own pain. To Allyson, it’s a heartbreaking moment of fragility that brings her closer to her grandmother. But “Halloween” can’t just be a sensitive drama about the ripple effects of tragedy. At some point, Michael Myers has to escape and go on another epic killing spree. He’s apparently been working out this whole time, because he beats the living hell out of several healthy young victims with his bare hands. He also stabs, impales and gets weirdly fixated on teeth for some reason. This version of Michael missed out on 40 years of murder spree sequels, and he has a lot of catching up to do. Director of photography Michael Simmonds (“Nerve”) has a glorious time recreating the gliding, ghostly camerawork of the original “Halloween,” while giving the film a sharp, inky contrast that makes Myers look creepier than ever before. The script provides multiple opportunities for visually dynamic scare sequences, including a clever gag with a motion detector light, but the centerpiece is an early slashing bonanza of which Carpenter (credited here as executive producer) would no doubt be proud. Myers practically floats through the busy streets of Haddonfield, completely hidden in plain sight, taking out his murderous aggressions on unsuspecting house-dwellers while the costumed children are none the wiser outside. It’s simple in its conception, complex in its execution, and terrifyingly believable. For a moment, Green’s “Halloween” is arguably scarier than the original. And of course, no slasher movie would be complete without a moment in which the young hero’s cell phone is neutralized. In this case it’s dropped in what looks like a bowl of cheese. Rather than pick it up and take it with her — if only to retrieve the SIM card — Allyson just leaves it there, because apparently phones grow on trees and she doesn’t care if anybody finds it and steals her identity. You know, like a person would. A forgettable supporting cast and a handful of forced plot points do not ruin a horror sequel. Forget the promise of Blumhouse taking over the franchise and giving it to a respectable director like David Gordon Green: This isn’t a glorious rebirth, it’s a functional facsimile, and it’s a wholly satisfying piece of slasher entertainment regardless. Green’s film takes the material seriously, for the most part, but he’s still trapped in a world of coincidence and foregone conclusions. Myers must escape and Laurie must face him, and the universe will stop at nothing to make that happen, even if the explanation for their dramatic reunion is hilariously laughable and ultimately unnecessary. The most frustrating element of Green’s “Halloween” is that despite its wry dialogue and celebration of Laurie Strode, it’s a deeply cynical motion picture. Laurie is a Cassandra figure, who has been warning Haddonfield of Myers’ return for so long that nobody believes her. Laurie’s daughter, Karen, has been prepared to defend herself physically from Myers, but to her way of thinking, even more damage has been done by Laurie. Karen had to reject Laurie’s worldview in order to build up her own positive outlook and live a life worth living. She’s so eager to overcome her anxieties about Halloween that, on October 31, she’s already wearing her Christmas sweater. It’s wrong to deny Laurie Strode her right to have defense mechanisms, but it’s disturbing to build an entire narrative around justifying her emotional child abuse. Laurie spent a lifetime telling her daughter to live in a state of constant terror, and the movie essentially argues that she was right to do so, because Laurie was right about Myers’ return. It’s painful to watch a traumatized child yell at her mother to please, please acknowledge that there is love and goodness in the world, and it’s enormously off-putting that the movie she’s in takes the opposing side, arguing that optimism is little more than dangerous naïveté, and that only Laurie’s doomsaying could save any lives. There are monsters in the world. Look at the news; there are boogeymen. But if the boogeymen matter above all things, what’s the point? Michael Myers is no longer an aberration, an injection of terror into another otherwise functioning world. He’s a gross inevitability, something we have to simply accept as part of our lives. We can fight him. We can defeat him. But we can never hope to escape him. By the end of Carpenter’s “Halloween” that possibility was horrifying. By the end of Green’s, the certainty is depressing. When John Carpenter made the original “Halloween” in 1978, it was just another in a long line of low-budget horror movies. 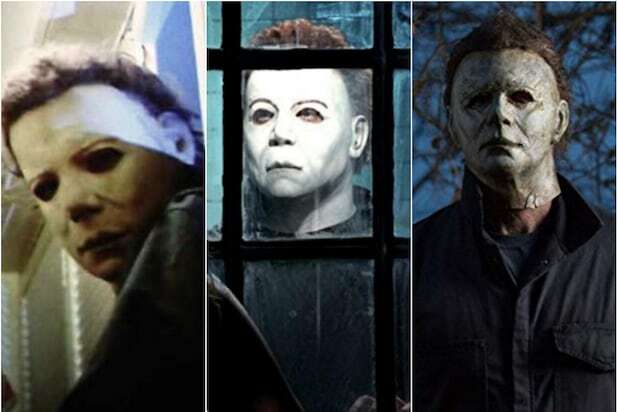 But the blockbuster about a masked killer murdering babysitters made “Halloween” a cultural institution, spawning legions of imitators and codifying the slasher genre as we still know it. Let’s look back at all of these classic (and not so classic) films in the franchise. In the sixth “Halloween,” the franchise completely flew off the rails by introducing the Cult of Thorne, a supernatural organization that needs Michael Myers to kill every member of his family to stave off the apocalypse. Paul Rudd stars as Tommy Doyle, the little boy who survived Myers’ attacks in the original “Halloween,” and Donald Pleasance returns for one last film as Dr. Loomis -- only to be (confusingly) killed off-camera during the closing credits. “The Curse of Michael Myers” is confusing, choppy, and utterly absurd. The substantially different “Producer’s Cut” of “The Curse of Michael Myers” was a bootleg cult commodity for many years, and it was officially released on home video in 2014. It’s still a fundamentally strange motion picture, but at least this version makes more sense, revealing more disturbing truths about the Cult of Thorne and giving Dr. Loomis an interesting cliffhanger to go out on, as opposed to the frustrating anti-death in the theatrical release. The “Producer’s Cut” still isn’t good, per se, but it’s a lot more effective and entertaining. Michael Myers returns to finish the job he started in “Halloween 4,” by killing his niece, Jamie, once again played by Danielle Harris. This time, Jamie is trapped in a mental hospital, and she’s got psychic powers, which don’t always help her friends survive Myers’ latest murder spree. The scene with young Jamie trapped in a laundry chute is genuinely terrifying, and Pleasance adds some real emotion to his climactic confrontation with Myers. It’s an eccentric, somewhat enjoyable slasher sequel, but the goofiness ultimately bogs it down. Rob Zombie rebooted the whole “Halloween” franchise with a remake that tried, for better or worse, to get inside Michael Myers’ head. The remake shows Myers growing up in an abusive household, flashing early signs of becoming a serial killer, and then relegates the majority of John Carpenter’s original film to a third-act murder spree. Did Zombie completely miss the point by trying to explain the unexplainable, making Myers just another serial killer? But by not repeating what had been produced before, he did try to preserve the original film’s integrity. Taken on its own, Zombie’s “Halloween” is a satisfying, albeit cynical and depressing horror movie. 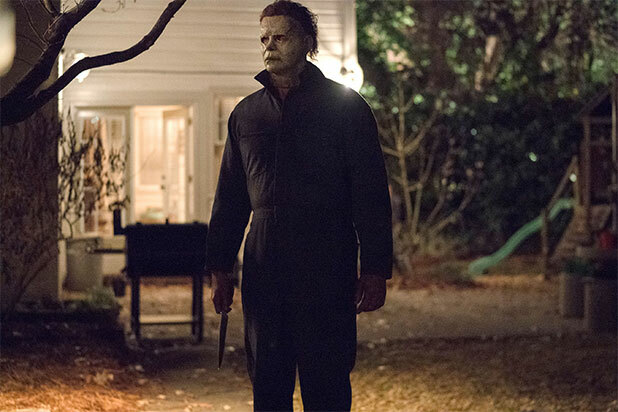 The first “Halloween” sequel picks up right where the original left off, with Michael skulking into the shadows and resuming his murder spree. It’s a lean, mean slasher, but it’s also where the franchise’s problems started to develop. The revelation that Laurie Strode was Michael’s sister had the same impact as Zombie’s “Halloween,” revealing too much about the killer’s motives and telling the audience that they’re basically safe unless they’re either related to the killer or standing near someone who is. Throw in some frustrating pacing issues, and you’ve got a sporadically satisfying but flawed follow-up. John Carpenter envisioned “Halloween” as a series of unrelated horror movies set on or around October 31, and if they’d released “Season of the Witch” instead of “Halloween II,” he might have gotten away with that approach. But after two Myers movies, fans balked at Tommy Lee Wallace’s unusual flick, about evil Halloween masks designed to murder people in a mass pagan sacrifice. And yet time has been relatively kind to “Season of the Witch,” a highly entertaining and spectacularly weird movie with a killer ending, oddball performances and memorable murders. It’s no match for the original “Halloween,” and it’s exceptionally hard to take seriously, but it’s a hoot. After sitting out a season (of the witch), Michael returns in “Halloween 4,” an impressively scary, rock-solid slasher. Myers is back to kill the rest of his family, specifically Jamie, the daughter of Laurie Strode (who died between films), and it’s up to her babysitter to save her. Creepy cinematography and suspenseful set pieces help bolster a film that builds to a terrifying finale… which “Halloween 5” almost completely ignored. Taken on its own, “Halloween 4” is one of the best and scariest films in the series. It sticks to the fundamentals of the franchise and reaps all the rewards. David Gordon Green’s “Halloween” isn’t the first film to ignore the majority of the franchise’s continuity, and it’s not the best either. But it’s an impeccably stylish slasher thriller, in which Myers returns to Haddonfield 40 years after the massacre, where Laurie Strode is waiting for him along with her estranged daughter (Judy Greer) and her loving granddaughter (Andi Matichak). The scares are freaky, the dynamic between all three generations of the Strode family is honest and mature, the cinematography and score are absolutely spectacular. If only the story weren’t so contrived. And if the film’s themes were actually explored instead of awkwardly spoken aloud, it might have been the second best film in the series. The first “Halloween” film to completely reset the franchise continuity (and to depict Laurie Strode as a traumatized woman living in fear of Michael’s return) is a slick and emotionally satisfying finale to the franchise -- even though it turned out not to be the finale. Myers finally tracks down Laurie, living under a new name and working at a private school, where her son (Josh Harnett) and his girlfriend (Michelle Williams) are hiding out for Halloween when they should be on a field trip. Myers attacks and gets a few bloody kills in before Laurie rescues the kids and walks right back inside, with the sinister “Halloween” orchestral theme now playing as her empowering ballad. The slasher elements are above average, but it’s Curtis who brings “H20” to life by delivering one of the finest performances of her career. Turn off the background noise of the sequels, reboots and retcons, and just watch John Carpenter’s “Halloween” for what it always was: a terrifying urban legend come to life. Carpenter films the hell out of “Halloween,” with eerie Panaglide shots from Myers’ POV, giving him a wraithlike quality, and then masterfully edits his shots to build the suspense until Myers’ wrath finally, brutally breaks the tension. It’s a smart, earnest, believable horror movie that has always been terrifying. It probably always will. How does 2018’s “Halloween” rank among its predecessors?